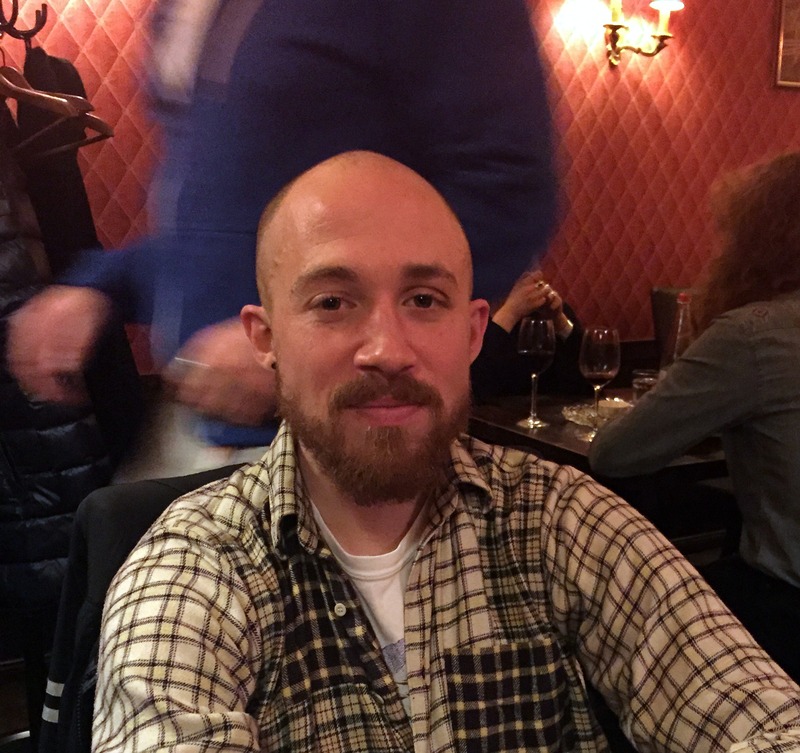 Great to visit my old friend AA Bronson, who went to Berlin for a one-year artist’s residency and decided to stay. 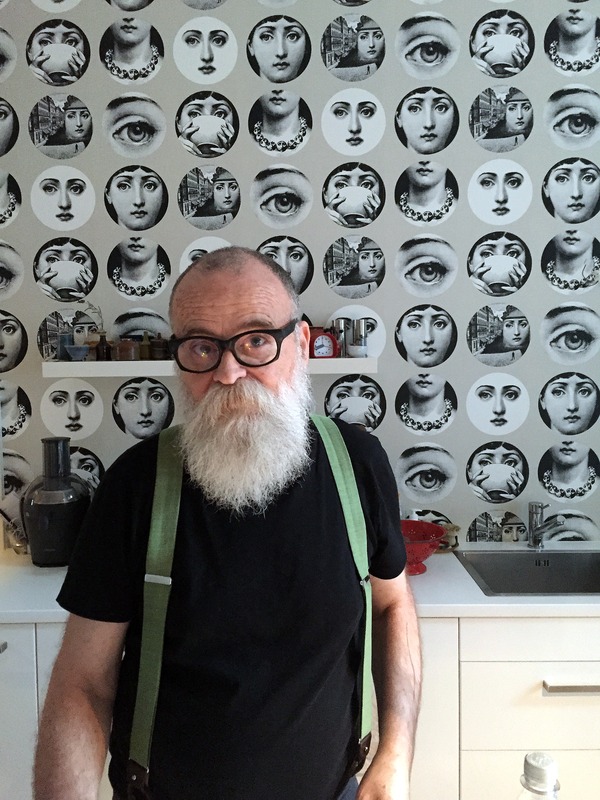 Above: in his kitchen. 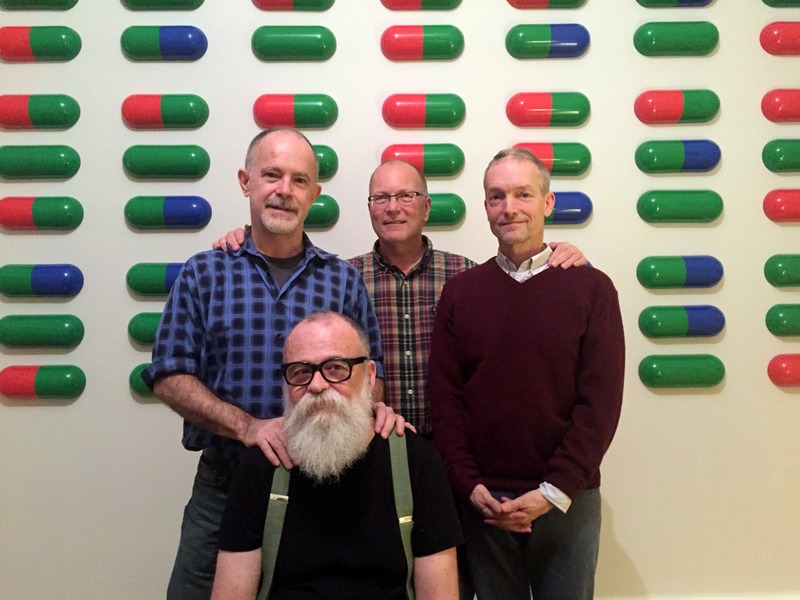 Below: with me, Ben Haggard, and Joe Miron, a photo taken by AA’s husband Mark (in front of one of General Idea’s Pills pieces). 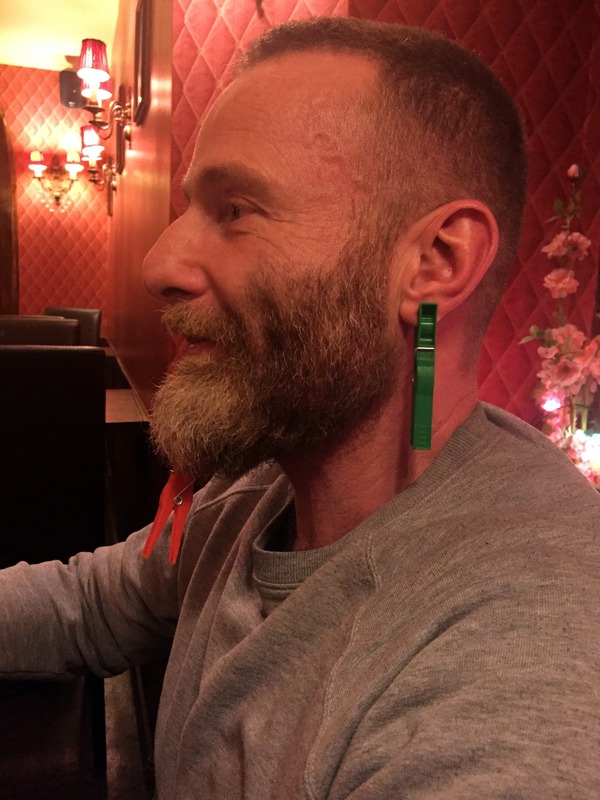 I was in Berlin at the invitation of my friend Kai Ehrhardt to teach a couple of workshops and facilitate a panel discussion at the Stretch Festival (see http://www.stretch-berlin.com/), a fantastic gathering of soulful embodied men from all over Europe. 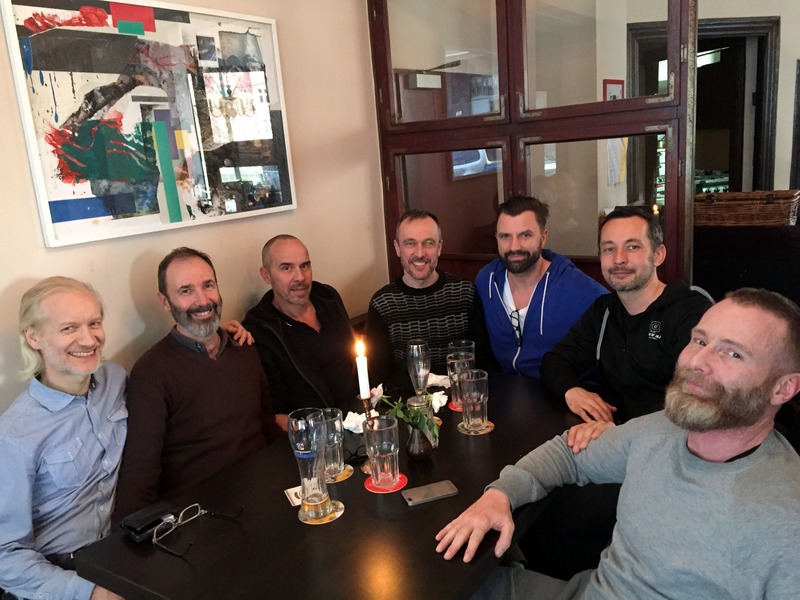 Some “Stretch-hoppers” from Kai’s Authentic Eros team, chilling afterwards in Neukolln: Robert Farrar, Achim Kraemer, Peter Bollinger, Andy Saich, Kai, Peter Kogelbauer, and Eric Martin (aka Lerouge). 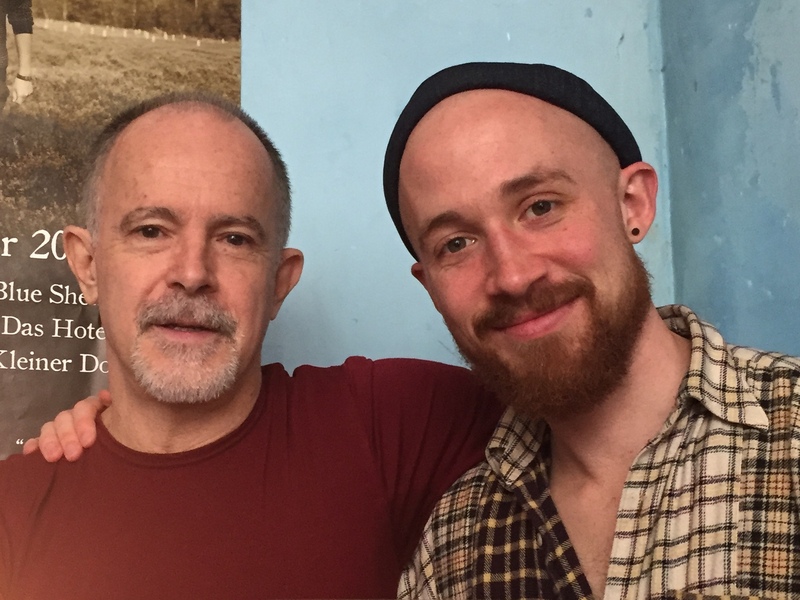 Below: me with Tom Barber, a handsome British yoga teacher who has relocated to Berlin. 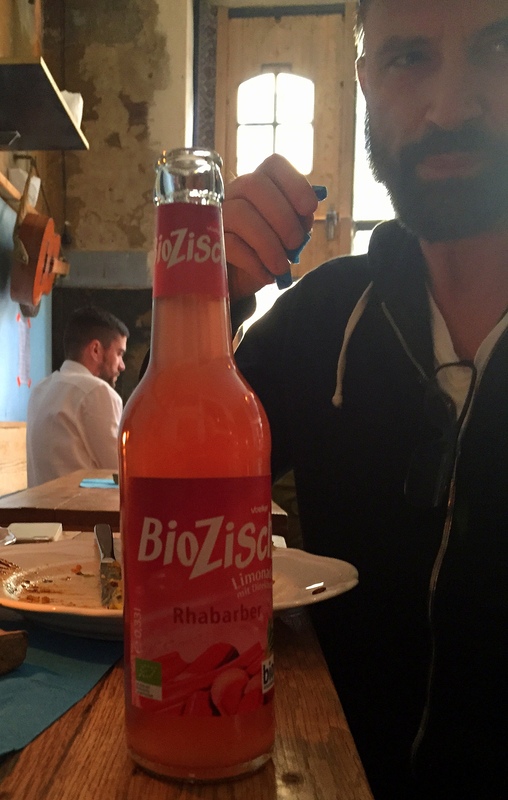 This entry was posted on	April 13, 2015 at 10:57 pm	and is filed under Photo diary.